MOSCOW, December 1. /TASS/. The accident commission looking into the causes of a faulty liftoff from the Vostochny cosmodrome has allowed the launches of Soyuz-2 carrier rockets under a schedule approved earlier, the press office of Russia’s State Space Corporation Roscosmos reported on Friday. 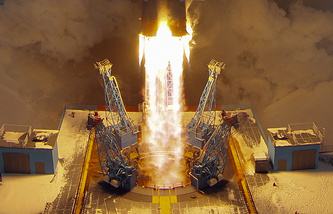 "The accident commission has made a decision to allow Soyuz-2 carrier rocket launches under the schedule approved earlier," the press office said.